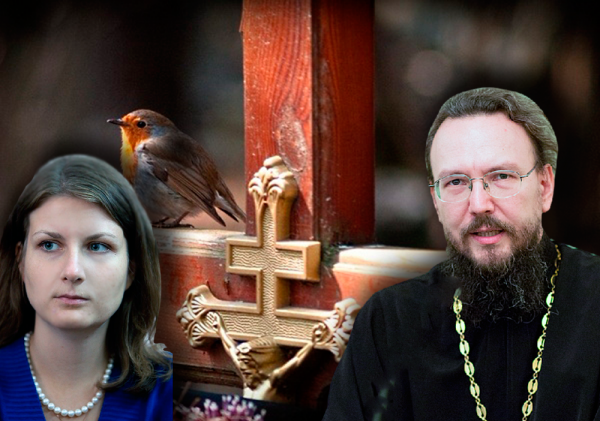 Archpriest Pavel Velikanov, Senior Editor of the portal Bogoslov.ru and Rector of St Paraskevi the Friday Church in Sergiev Posad answers difficult questions from, Pravmir Editor Anna Danilova, about life, death, and the meaning of both. God does not put down anyone. Ever. – Father Paul what exactly is death? There was a person who was just with you and you were looking at his pictures and watching him on video. He seemed so alive and was such a dear loved one. How can he be gone? It is impossible to believe that he ceased to exist. He was with us in this world and now he is gone. What happens There? Who knows 100%…? — Here lies the borderline between belief and unbelief, between openness to God and imaginary self-sufficiency. Religious faith, and especially the Christian Faith, does in fact possess a way out of the impasse of death. The Apostle Paul says: “If Christ has not been raised, your faith is vain,” If all of our “assets” are here in this material world then we are already bankrupt. Death nullifies our bills, no matter how huge or insignificant they may be. Therefore, as paradoxical as it may sound, death is life’s definite “moment of truth” that asserts its importance and value. “Blessed is the way in which thou shalt walk today, O soul, for as place of rest is prepared for thee” – or, on the contrary: “The death of a sinner is evil.” It is correct to say that death is the crown of all life. That is why at every Divine Service we repeatedly ask for a peaceful end to our Lives that is blameless, painless, and a good account to the Dreadful Judgment of Christ. Additionally, in Christianity, there is no “cult of death”, as is found in various subcultures and sects. There is no “romanticizing” of death. It is deeply unnatural to human nature and is always painful with tears and human grief, but it again and again has been conquered by Christ in His Church. Just like birth — this process is never pleasant and comfortable, but the results can’t be compared with its suffering and pain. A new person has been born into the world! Death is really a sacrament of transition and the mystery of birth into eternity. There are very few moments in our lives when any person, regardless of ideology, faith, or righteousness,clearly senses the impact of eternity that transcends the visible, and I think dying and death first belongs here. Loved ones feel this in an especially acute way. When it becomes obvious that a loved one is no longer in this body, and at the same time he is alive and still exists, he, in a sense, becomes much closer to his loved ones than when he lived in the body. Honoring one’s departed ancestors, in one way or another, is inherent in virtually all religious culture and reflects the obvious truth: loved ones leave us and our world, but do not disappear. As for “who knows 100% what happens There?” In this world, do we know 100% about a lot of things? If we don’t understand our own souls. What can we say about others? However, our ignorance does not get in the way. Life’s experiences puts everything in its place. We are constantly learning to overcome this lack of knowledge in different ways: intuition, belief in luck, and simply proceeding without thinking. As for religious faith, it also makes a person more sensitive, and more receptive to manifestations of the spiritual world – and it is from this heavenly evidence that we draw hope that our dead will a have a blessed fate. – So, how should we live if there is death? How can you enjoy life and live happily, if tomorrow your dearest loved ones can be gone on in a moment? A baby is born with an incurable genetic disease or is hit by a car. You get married, and your husband develops cancer. Why all this? Why do we become attached and love, if you can lose everything in a moment? – Therefore there is a reason to live. Death, in its time, puts everything in its place. Husks will disappear, and ripe fruit will appear. This fruit, though, is primarily developed in our relations with each other, which go beyond the temporal life. Moreover, according to the Gospel, it is these relationships that determine our relationship with God. He looks at us through the eyes of our loved ones. We live in a world with a shifted frame of references, even in the most basic understanding. Death is a wonderful medicine that “revises” our system of our values and priorities every time. And in this is not denial or diminution of life as it is, but on the contrary, it increases life’s value, significance, and hence responsibility. I remember C.S. Lewis, who when already middle-aged, married a woman who was sick with cancer. “Surprised by Joy” is his autobiography, where the time of marriage, which should have been overshadowed by a terminal illness, was simply a time of joy and celebration of love conquering death. We must stay attached and love, because death does not cause relationships to disappear. Yes, they will be different. Perhaps, not at all as we imagine them before death. What happens to the soul of a loved one, though, that has opened himself up to another, given himself to another, accepted someone as he was? He goes together with us into eternity, and death here is not a hindrance, but a filter that separates the significant from the minor and superficial. – Why do so many of the best, the most loved, and the young pass away, such as children and young people who have not yet had time to do anything? What would be wrong with having our dead live with us working for the glory of the Lord, giving birth to children, and making the world better? Why did the Lord take them? Can we speak about the fact that death can be beneficial and that “the Lord took” since God did not create death and because death is unnatural? Can we even accept death and accede to it? – Of course, this, of its own accord, is sad and is a quite natural and understandable sadness for those who remain here. There is a wonderful inscription on a bridge somewhere in India: “This world is a bridge – walk over it and do not build yourself a house on it“. No matter how endless or how far beyond the horizon the bridge seems to stretch, one would be wise not to build one’s living quarters on it, thinking that the real life will begin once the house on the bridge is complete. That bridge does not influence our our life. It is not necessary to build a mansion on it and think that it is the focus of life. We need to finish building right here and right now. That is how to live! If you don’t want to go by yourself- then suffer. If you want to stay on the bridge forever – they will carry you away — and they will demolish all your buildings, all, here, where you were trying to anchor for centuries. This feeling of fragility, insecurity, infidelity of this transitory world has always distinguished the early Christians. In their questions about the timing of the Kingdom of Heaven, I see the same impatience as the passengers have entering a city they had long sought to visit, such as Paris or Rome – and suddenly the train slows down and almost stops. All their thoughts, though, are on the cherished goal. They don’t care, if they are served hot tea or it has become cold, where the suitcases are, or how clean the car is. After a moment, all that is gone and forgotten and they run to a conductor to find out what happened and when at last the train arrives at the station. What am I saying? On account of the dead – those who died in peace with their family and the Church, having faith and hope of the resurrection, carrying their life cross to an end- can only rejoice. They now have reached their goal, whereas we all stand in this traffic jam of life. There is not a big difference when the Lord calls, because He is acting solely on His ineffable, incomprehensible love for us – and if from our point of view someone goes “at the wrong time”, “early”, “not having lived” – there is more self pity in it than real care about the welfare of others. – For many people, loss, tragedy, and grief is the path to the temple of God. And for many it is a test of faith. As the priest Georgy Chistyakov wrote — it is good to be a believer when you walk through fields on a summer’s day and the bells are calling to liturgy. There are clouds and the sun in the sky and everything in life is good and according to the commandments, but what if when you tried and tried to keep the commandments and such a test of faith comes. Our Loving and All-Merciful God takes away “my friend and my neighbor” and leaves us alone, and there are no guarantees and no sure knowledge. 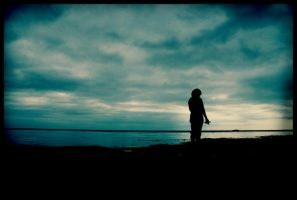 We remain alone… Why is it like this? Where do we draw hope? We stand before a closed door in the world from which no one returns. Of course, we want to hope, but where do we find CONFIDENCE? And FAITH… Where can I get this early Christian belief “She’s alive!” – written on the tombs of early Christians? – I have only one answer: this confidence must be drawn from the sacraments of the Church, and, of course, especially from the Eucharist. It is this Sacrament of the Kingdom that destroys the barrier between the world of the living and the world of the dead —the world of the repenting sinners, the righteous, those shining in the glory of God. Celebrating the Divine Liturgy as a communal act of building up the Body of Christ here and now, we, both the clergy and laity, become partakers and communicants of one and the same Christ Who gives life in abundance to the departed faithful in, Heaven. Church is the constant dynamics of Heaven descending on earth. It is the purification and raising of the earthly, the heavy, and the stout to the heights of the spirit and the joy of Christ. Especially in a situations like the departure of our loved ones, it is made very clear that Holy Communion is not “to fulfill individual spiritual needs”, a sort of “pinnacle of spiritual selfishness”, but rather it is much more: it is the creation of unity of the living and the dead in Christ. Remembering them during the Eucharist, we enlist their intercession and feel their true closeness and help, not because they would otherwise be deaf to our requests, but simply because it is the only way to instill a correct harmony of human relationships in God and through Christ. Only then does it become clear why and how you can pray for the dead, and why there is no sin in that: because in the Church, by definition, there are no unholy. The Church is the assembly of saints, those in whom the grace of the Holy Spirit is alive and active. “Model” saints are canonized for explicitly being glorified by God, but their number is considerably fewer than “ordinary saints.” Prayer restores communication between the loved ones that is interrupted by the death, and it takes on a whole new dimension. This is not altogether sorrowful weeping. :Why and with whom was I left behind Why have you abandoned us? There is joy and thanksgiving to God for the fact that one of ours is There. – What is the death of the righteous like? This is a difficult question. 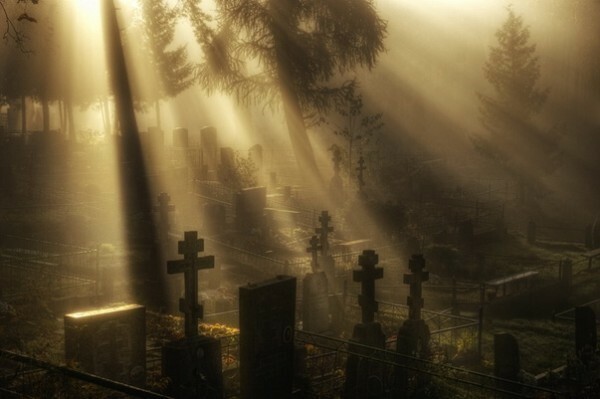 Of course, there is a lot of evidence that many saints and righteous ones knew the day and even the time of their departure (sometimes much in advance), when seemingly nothing foreshadowed the proximity of death. On the other hand, besides such cases we have accounts of martyrdom, when the question of life and death was solved, literally in just a minute. It is quite understandable that we want to have some perceivable “guarantees” that our departed are righteous and are in the Kingdom of Heaven. I would like to warn against attempts to substitute the judgment of God with human reasoning. After all, even when a person dies in great suffering, or suddenly – only the love of God stands from behind that final test and not some sort of “malicious glee” or “revenge.” It is possible that the Lord heals the souls of the departing with these last, perhaps, unbearably bitter drops in ways unfathomable for us, even if it is very painful for us to witnesses the suffering. Christian preparation for death plays an extremely important role. Virtually any priest can share many cases where after Unction, Holy Communion, reading the Order at the Parting of the Soul When One has Suffered for a Long Time there was an obvious relieving of the sufferer’s condition and a subsequent peaceful resolution of bodily ties. An amazing mystery of the Church is that here on earth, we somehow mysteriously prostrate there with our sinful hands, in the invisible world, and actually relieve the condition of the departed. The church’s support of the departed is an especially special experience that is very important and edifying not only for the deceased, but also for all those who are near by. Many people look down on the Church, as if to say: “what can it offer me?” The Church is perceived quite differently at the bed of the dying, especially when the person was indeed a church goer who regularly went to worship, participated in the sacraments, and lived for the Church. This sort of person, from the earthly Church, is literally carried by hand to the Kingdom of Heaven, and this testament is not ours, but comes from another world. – Do atheists and believers have a different perception of the death of loved ones? Usually it is thought to be simpler for believers because they believe in the resurrection. Atheists say goodbye forever. It seems to me that all but absolute atheists hope for a meeting, but THAT world is equally closed. – The “absolute atheist”, a purely theoretical construct, is sometimes convenient for certain apologetic constructions. In reality, every man has a strong shift in consciousness in the face of death. The experience of death can’t be ignored, but if a believer becomes another “reference point” in correcting world view and strengthening faith, then a person who is far from the faith and the Church becomes confused and in crisis,sensing keenly that a great falsehood is taking place. Actually, this is not true about death. People are completely unprepared and unable to properly accept death. The death of loved ones is always like a powerful sledgehammer blow a on the carefully prepared building of “earthly happiness”, which, more often than not, takes the place of God in the lives of unbelievers. Then, what is much more important becomes especially clear — not “property”, but “existence” — the relationship between people themselves and not their material possessions. There, where there was truly love and friendship that valued each other — even far from the Christian understanding — appears hope for a meeting with the departed. They can’t be erased so easily from our lives. – Can a Christian be afraid of his own death? It seems that many of the holy martyrs were waiting impatiently, but weren’t even many saints in the Patericon, afraid to die? In connection with this same question — if you read the Patericon, it becomes very scary. A lot of monks were grieved if, roughly speaking, they ate an extra roll or were distracted from their prayer rule. You read this and think: where will we end up? !! – In my life there have been several meetings with people who are tired of living and awaited death with impatience. They were not disappointed in life. It was not a “return ticket to God”, but simply a tired soul that was located in cramped box of a body and material existence. However, I do not remember a single case, in which people were not afraid of death, specifically as evident proof of God, and the manifestation, in this world, of a better world. Perhaps a clear preparedness for death and the absence of fear for it is the inheritance of the chosen people, in which divine grace has identified itself in full during life. – Is it possible to live so that great losses are avoided? – Why? Are you suggesting to Christ that he reconsider his assertion: “And whoever doesn’t take up his cross and follow Me is not worthy of Me”? Especially when, according to Scripture, God does not give exorbitant sorrows? 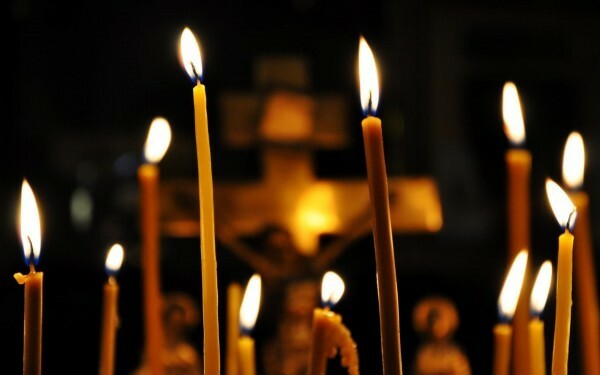 I am often astonished as I am faced with some new juxta Orthodox mythology: whoever lives correctly as an Orthodox, will be blessed and not have any problems or sorrows here, and is guaranteed a place in heaven. Yes, if you look at the actual description of any of the saints’ lives, no matter how outwardly “successful” they may have appeared, the hagiography shows that there was always – suffering, battling, and overcoming oneself, tragic life circumstances, the hypocrisy of church people, and demonic scheming. There is no “escalator” of salvation. It isn’t possible to educate an athlete in a ward for violent lunatics, where everything is padded and it is impossible to hurt oneself. We unwittingly bring a crazed and extremely malicious concept of utilitarian comfort to church life and as a result we are either completely disappointed by the Church – “something about it doesn’t work!” – or we attempt to transform the Church into solely a utilitarian tool to achieve personal goals. Neither has much to do with actual spiritual life and the Church, if it is even connected at all. – Man looks to the future with the hope that tomorrow will be something better. Financially it becomes easier as children grow up and become a bit more self-sufficient… How do you accept that all the good things in your life are over? There will not be a wedding or career. There will not be children or a loved one nearby. It all ended and there will not be happiness anymore. – “The kingdom of God is within you!” – This is the only answer to that question. So that nothing unexpected and tragic occurs in life, we need to look forward and see our circumstances as a God-given reality. You can’t go forward with your head turned back. There is too much grumbling against God in this matter. We are trying to “cast our net” with our ideas about happiness on the Lord God, but he slips out of it and we again remain with nothing. Maybe it’s better to trust in Him in this matter? Why do we set a framework for ourselves, which later leaves us banging our head furiously, accusing Him of our misfortunes? Remember the example of the righteous Job. He seemingly lost everything and everyone and then finally received an abundance of blessings, as he kept the faith and understood his place and the place of God. – A man finds out that he has an incurable disease. Yes, he may outlive many of those who pity and have sympathy for him, and those who are healthy – there are many catastrophes these days. Yet, how can a person prepare and how can a family prepare? What do you do in the face of separation? How do you live, so that you say goodbye properly? 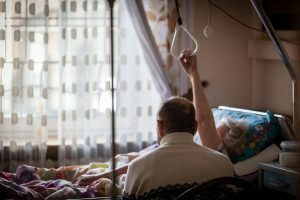 – When a terminally ill person appears in a family, it is a testimony of God’s mercy to that person and his loved ones. Many saints prayed that the Lord would send a sickness before their death, so that it would be easier to cast aside the attachment to this life that we all have. First of all, in this situation, it is necessary, on the one hand, to do everything in our power to prolong life as much as possible, and, at the same time, learn how to set the right accents in the face of inevitable and possibly imminent death. In fact, a person does not learn anything new when he is given the diagnosis: you are terminally ill. Who among us is not terminally ill with the disease of sin, which, nevertheless, leads to the grave? Another thing is that, as a rule, we all seek ways to supplant this apparent knowledge somewhere far away, on the very periphery of consciousness and life, and then suddenly it becomes central news. When you are on a long-awaited vacation, you only really begin to relax in the last few days, when you cherish every hour before the approaching departure. Similarly, when loved ones understand the imminence and speed of separation, naturally there is gratitude to God for the fact that this person is still with us and that there is time to provide love and make sure that despite all the grief, that loved one is brought joy and comfort every day. This is a blessed time to bring to the surface all those unsaid, secret resentments and pretensions against each other, to which we often pay little attention. They pile up like a snowball, and then can greatly spoil seemingly strong family ties. In the face of death, our requirements for one another become immaterial, silly, and pointless, and it is important not just to be formally reconciled and to ask for forgiveness, but to actually overlook all grievances, no matter how correct they seem and how deep down they may hide. 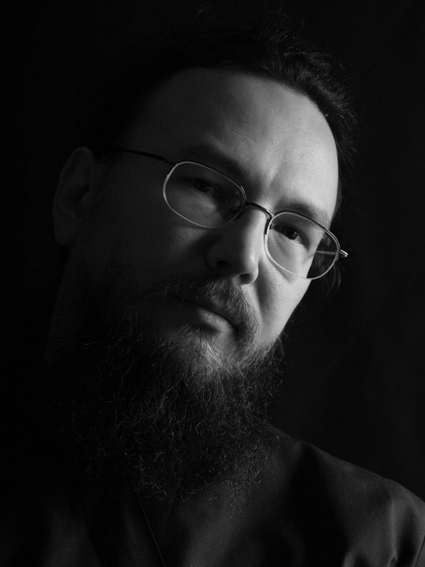 – In his excellent book, “The Liturgy of Death”, Protopresbyter Alexander Schmemann wrote that our entire culture and all of modern civilization is running from death. All those ecology programs and all the “healthy food” and other attempts to lead a healthy lifestyle is a flight from death as well as a proclamation of death … We think very little about death. It seems that it will never happen to us — or not happen any time soon. Additionally, we subconsciously psych ourselves up for an eternal, beautiful, and happy life (especially the relatively wealthy and young people of the city). Even another’s death does not change us. We are surprised and continue to run about our business. Is it even possible to be mindful of death and to think how to prepare? – Yes, it is true that modern culture is afraid of death, because it is death that exposes the futility and contrivedness of the basic values upon which sin tries to build a parallel world to the Divine. One may and should think about death, and for years many pious people have made themselves coffins and prepared everything necessary for burial, without seeing it as something contrary to life itself. Does this Christian realism really help to build the correct priorities in life? What actually is the cost, whether you carry the light with you – or inevitably leave it here with who knows who? – A question about death and spiritual affection in THAT world. God gives us talents. While we are here, the most important thing that we must do is learn to love. What must happen THERE? Will our talents in music, painting, and cooking ultimately be useless There? And most importantly – those whom we have learned to love so much here – our parents, children, and spouses – will we keep in touch with them There or will we outgrow all these feelings and love only God? – Do you remember the wonderful words the Savior, uttered in response to a crafty lawyer’s question about a woman and seven husbands? There – in the Kingdom of Heaven – they neither marry nor are given in marriage, but are like angels in heaven. All of our talents and abilities that we were able to discover and develop during our earthly lives are no more than a faint reflection of the quality of life in God, with whom all the saints live in His kingdom. The same applies to the love of spouses. However surprisingly rare the strength and depth the feeling may be, it still is not comparable to the love of God, which only lives in the Kingdom of Heaven. Everything There is permeated with this mysterious love that is incomprehensible even to the angels. Of course, it is really nice when you are holding a bright flashlight on a dark night, but it is silly to brag about it on a bright sunny day when no one can even notice it. It is the same in the Kingdom of Heaven, where everything is shining with the divine light of His love. Even our most elevated and holy human feelings retreat. This does not mean though that your relationship with your beloved will change or weaken. On the contrary, the problem of a “love triangle” in which God and your loved one could become “competitors”, completely disappears. Love for a spouse only grows stronger in God, but it then takes on a different quality. Everything earthly, temporary, and transient, that is inevitably connected with the earthly marriage, disappears and is often identified with the very essence of wedded love. – What happens to the sacrament of marriage after death? It is a question of a loving spouse who values marriage. “For the kingdom of God is not food and drink but righteousness and peace and joy in the Holy Spirit” (Rom. 14:17). If we listen carefully to the prayers of the sacrament of marriage, we will see that There it is primarily referring to God blessing the union by giving children, health, longevity, and prosperity – and that all these worldly blessings helped place the “Marriage in the Lord” for the sake of Christ and to the glory of God, not just for human affection. The spiritual dimension of marriage is the result of a marriage succeeding as a union of two different, even contrary, individuals who are constantly emerging from their egocentrism out of their love for one another and Christ. This type of marriage may be very far from any romantic notions of a happy family, but most importantly – it should be fruitful and productive spiritually. Starting from one another and then once again connecting to a qualitatively new level of understanding, the couple, together, becomes closer to Christ, learning to see Christ in the other and loving each other with the sacrificial love of Christ. A true marriage is a great tool that is a permanent and daily spiritual cultivation of Christian love. What if, though, the couple only lived in marriage for a short time and one of them dies? It is obvious that it would be folly to wait for the continuation of this happening. When spouses are of completely different statuses, they are incompatible with each other: one soul is in heaven and the other is in body with a soul on earth. For some, the experience of marriage was completely sufficient and productive, and there is no reason for a “repeat performance”. That, though, is just when the marriage was a well-rounded complete experience. For others, on the contrary, this marriage was only a foretaste and entry into wedding nuptials that was suddenly interrupted by the death of a spouse. It follows, of course, that there will be an urgent need to renew married life and create a new full-fledged family. Here, of course, it would be too presumptuous, and in fact wrong to impose heavy burdens fantasizing that the departed would take joy from the remaining spouses’ painful stay alone. It is not necessary by any means to extrapolate our earthly, marital relationships – no matter how delicate and even spiritual they may be – to life in the Kingdom of Heaven. There – everything is different, but preparation takes place here. – Viktor Frankl made a remarkable statement, gained from a far more terrible experience in Nazi concentration camps: Those who have a “why” to live,can can bear with almost any “how”. Any trial with severe grief that was experienced properly returns us to reality “in our own skin”, and tears us away from the world of illusions and dreams, in which we often try to replace our seemingly dull life. Suffering is an ideal “grounding” in the best sense: I lived today and give thanks to God. There is something to eat, drink, wear, and a place to stay – give thanks to God. Of course, when living in this state, one does not make grandiose plans for decades in the future. At the same time, a person who learns to see and appreciate those small joys of life that weave the Grace of God for us each day, is the same who is carefree and takes for granted that this is simply the way things should be. An actual adherence to reality is usually not pleasant. We live, scarred from sin, maimed by the most fundamental elements of the world and we ourselves are part of this ugliness. It is precisely this condition, or an external feeling of helplessness, insecurity, and vulnerability that makes people open to the action of divine providence. God becomes necessary for man — for there simply is no way without Him. When we keep track of everything to the last detail, then we grit our teeth as we battle with life’s obstacles — and why this war? Just in order to show that we are strong-willed, intelligent, motivated, and determined. All this is laughable. It is hard to go against the flow. This, though, is where the laymen are. This is where the “subjunctive mood” is born and is the main source of mental agony and frustration. A willingness to accept reality for what it is, is a sign of emerging sobriety. The loss of even of the closest people can be treated differently. It could be perceived as a sign of man’s faith in God, and His hidden powers and evolving love — and it can also be seen as very different experience — a cruel punishment of God and a testimony of his impending doom, sealing damnation. Even in this diapason, the person himself defines his further vector of life and how he will live on, blessed or cursed. – How do you talk to the person who has lost loved ones? How do you tell him about God’s mercy? In general, what do you say? What shouldn’t you say? – The best and most effective way to support the grieving in his loss is to pray together. Joint church prayer, especially the Eucharist, gives clear evidence that the border between us who are still alive and the dead is not simply arbitrary. They are resting and waiting for us. The Church, though, is the same here and There. Just as there is One Christ. That’s why it is better not to use man-made phrases like “terrible loss”, “irreparable loss”, “brought down the mountain,” “let the land rest in peace,” and other pathetic words of unbelief, that are stuck in the lexicon of the Soviet era. The abominable hypocrisy of the funeral, when people “adjust” to the event, and try to force a suitable feeling, while in their heart there is nothing except fear and confusion mixed with superstitious fear of “negative energy”. – Is it correct to offer Orthodox consolation – “He is okay now. He is with God,” “God takes us in the worst or best times of life. So this means that this was the best moment.”, “Do not cry. We all will be resurrected.” and so on. – If only for the sake of filling the void, so when they die in peace with the Church and God, they tend to perceive the surrounding peace and serenity in their hearts, and this is much more significant consolation than any words. This experience of a blissful fate, I would say, is normal and even standard for the Church. Otherwise, we are an “ineffective structure” that does not prepare people for the Kingdom, and it is not clear what we are doing. – Is there such a thing as a state of excessive grief? Is it possible and necessary to lead a person from it? – Of course, it is possible, and necessary. This happens when grief at some point is intertwined with self pity and it emerges as a special and subtle sweetness. Unbelief is a corruption of the soul that also adds fuel. A person sort of “short-circuits” on himself out of his pain and sorrow, his grief, and his loss. It is indeed frightful. This situation is well shown in the Vasily Sigarev movie “Living”, which tells of three instances in which people met with the heavy loss of their dearest loved ones – and this “short circuit” was not only silent and tearful, but also frightfully aggressive with a resolute refusal to accept a death as the will of God. – When we arrive There – then we will find out. I repeat: God never plays dirty tricks on people — neither here nor There. As C.S. Lewis wrote in one of his works, There, we get something that we actually sought. Of course, there is evidence in the Orthodox tradition of toll houses, but this is nothing more than an attempt to foist in experience that is impossible to express in the language of our earthly human understanding. This could even be very useful as a tool to foster an attentive and responsible attitude toward life. – What should our relationship be with the dead? Why does one dream of deceased loved ones, while others do not? – This is a mystery of God. It is impossible to find a universal algorithm for calculating why things happen differently on different occasions. I would caution about drawing conclusions from our dreams – unless they are a clear and obvious manifestation of Divine Power in our lives. – What books are there about death and the afterlife? 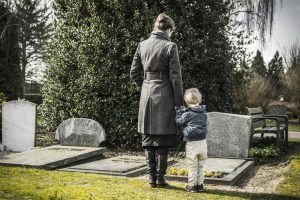 What should we do in remembrance of the deceased? – The best remembrance for the deceased is a prayer. Most importantly, we can help them, the departed, finish that which they didn’t have time to conclude, and continue all the good that they had once begun. Everyone leaves a certain footprint behind, and this footprint, of course, is not unique. If we transfer all evilness and imperfection to oblivion, but focus on the light, goodness, and the beautiful, — without a doubt, we are entering into a certain communion with the soul of the deceased and may thus continue his work. In any case, history is made at this time, here, with our hands — and when the tide of life has changed for the better, because we emulate those who have gone — they rejoice and bless us. – Thank you, Father Paul!